Ignite the passion with this fiery red roses in round vase! Sixteen red roses have been neatly arranged in a clear fish bowl-shaped vase. Woo her with a surprise Valentine's Day flower delivery! Send nationwide via NetFlorist. 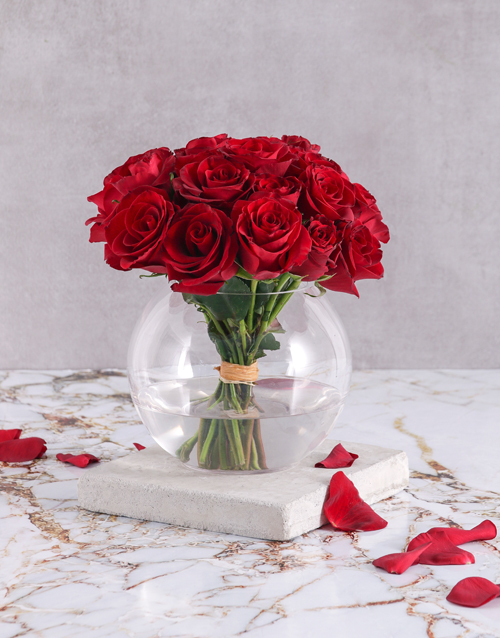 Get this Fiery Red Roses In Round Vase delivered with NetFlorist.